VANKLEEK HILL, ON – As promised last month, Beau’s All Natural Brewing has released the latest offering in its Wild Oats series of limited and one-off beers. Hogan’s Goat pours a bright copper shade, while mingling aromas of peppermint and juniper come to attention. With each sip, the malty sweet taste is given a pleasant, cleansing lift from the cooling peppermint and herbal juniper. Light orange peel adds a complementary citrus undertone to the flavour. Ideal pairing suggestions include pork dumplings, baked brie, and mille-feuille. 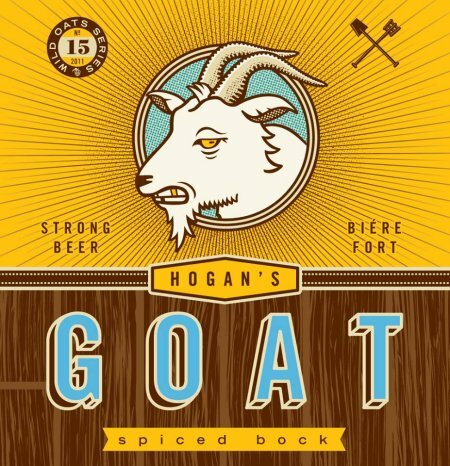 Hogan’s Goat was released this past weekend and is available now at select LCBO locations, the Beau’s brewery retail store and BYBO delivery service, and at select bars and pubs throughout Ontario.